Some injuries are so profound that they change everything. You find yourself living your life completely differently than you did before you were injured. You can no longer move the way you used do. You are not able to engage in the same activities. Even the things that you are still able to do are affected. You may no longer have the stamina, strength or coordination that you used to have. Obviously, these changes can have an effect on the way you earn your living. You may find yourself simply being physically unable to work at the same job because of your injuries. Your employer may not be able to offer you an alternative or modified position. Even if you feel that you can go back to work, your doctor may disagree. He or she may be advising you that because of your injuries, you are no longer capable of working at the type of job to which you’re accustomed. If you do, you risk re-injury and a worsening of your condition. It’s an awful situation to find yourself in. You’ve lived through your injury and gained a measure of recovery only to find your means of employment pulled out from under you. Luckily, California’s workers’ compensation laws have provisions that allow injured workers who can no longer return to their normal jobs to receive vocational rehabilitation. The attorneys at the law firm of Fraulob-Brown understand California’s workers’ compensation laws. They have the experience necessary to obtain the vocational rehabilitation that their clients need. Under California law, vocational rehabilitation (also known as supplemental job displacement benefits) takes the form of a voucher. This voucher can be used by an injured worker to pay for training associated with learning the skills required to obtain a job in a different field. The voucher can pay for many of the costs associated with this training, including tuition, books, and career counseling. There are three requirements that must be met before you are eligible for vocational rehabilitation. For the sake of clarity, let’s examine each requirement separately. As you proceed through the treatment of your injuries, your doctor will make a prognosis in regard to your condition. Your doctor may decide that the effectiveness of treatment on your recovery from your injuries has reached a plateau. If this happens, he or she will offer an opinion that your current condition is permanent and stationary and full recovery from your injuries will not occur. If this opinion is accepted by all the parties to your workers’ compensation claim, it will be decided that you are permanently disabled. When your doctor finds that you are permanently disabled, they may also decide that your disability prevents you from returning to your old job. If this happens, your doctor will offer an opinion to that effect in a Return to Work and Voucher Report that will be sent to the claims administrator in charge of your case. If you are permanently disabled and unable to return to your old job, your employer may choose to offer you a modified position or an alternative position. Let’s take a look at the difference between the two. Alternatively, if lifting heavy objects was a large part of what you did, your employer could choose to offer you an entirely different position where no heavy lifting was required. If your employer chooses to offer you an alternative position, the salary must be at least 85% of your old salary and have a similar commute. In addition the offer must be for at least 12 months of work and has to be made, on average, within 60 days of your doctor’s decision that you are unable to return to your old job. Finally, if your employer offers you modified or alternative work and you refuse the offer, you are ineligible to receive vocational rehabilitation. WHAT IS VOCATIONAL REHABILITATION WORTH? The value of the vocational rehabilitation voucher depends on when you were injured. For injuries that occurred between 2004 and 2012, the voucher amount can be anywhere between $4,000 and $10,000 depending on your level of disability. It can be used for training in any state and can cover common educational costs, such as tuition, books and fees. In addition, up to 10% of the voucher can be used of career related expenses, such as resume preparation or job interview advice. For injuries that occurred after 2012, the voucher is worth a flat $6,000 to every worker regardless of disability level. However, it can be used for a wider number of purposes. While the voucher cannot be used outside of California, it still covers routine educational costs at an in-state school. Up to $1,000 of the voucher can also be used to purchase a computer. Finally, it can be used, with limitations, to pay for licensing or certification fees, tools and career counseling. Vouchers for injuries occurring between 2004 and 2012 have no expiration date. Vouchers for injuries occurring after 2012 must be used within two years of the date of issue or five years of the date of injury, whichever is later. If you can’t return to your old job because of your injuries, it is imperative that you obtain the vocational rehabilitation that will allow you to get a new job and a new career. 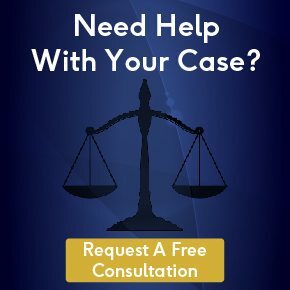 The attorneys at the law firm of Fraulob-Brown help you get the vocational rehabilitation that you need to get you back on track to a brighter future.